Annie’s Book Stop of Worcester is happy to welcome to our author spotlight blog, K.A. Laity! 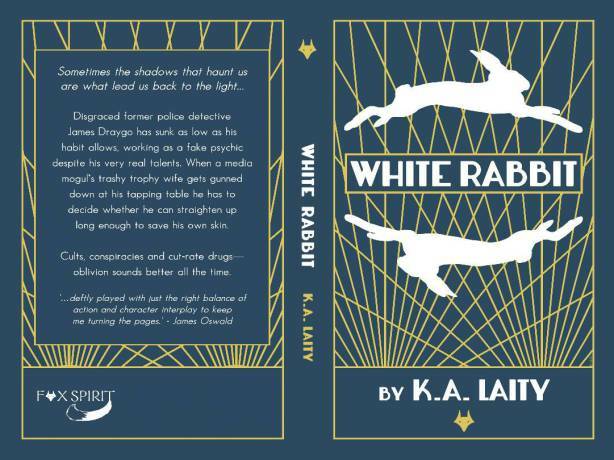 Laity is the award-winning author of White Rabbit , A Cut-Throat Business , Lush Situation , Owl Stretching, Unquiet Dreams , À la Mort Subite , The Claddagh Icon , Chastity Flame , Pelzmantel and Other Medieval Tales of Magic and Unikirja , as well as editor of Weird Noir, Noir Carnival and the forthcoming Drag Noir . And lots of other things because she writes under a few different names!